The big news in the world of books this week is the rumors leaking out of a possible merger between Barnes & Noble and Borders. Barnes & Noble is burdened with a lot of debt, and Borders is not doing much better; a partnership between the two major booksellers in America would theoretically allow them to start turning a profit and perhaps revitalize their dwindling stock values. There's a lot of reasons why this probably isn't going to happen, as many writers are happy to point out. Still, the fact that the two major booksellers are even considering this option speaks to the severity of their situation. Fortune writes that a combined merger between the two companies would be worth about $2 billion dollars. Amazon, in contrast, is currently valued at $79 billion. It's not hard to see why Amazon is so popular. They have a wide, reasonably-priced selection with amazing discounts on their most popular items. Their MP3 store is becoming a rival to iTunes. Despite the lack of a phone number on their webpage, their customer service is amazing, and their return policy is very liberal. Any student is eligible for a free Amazon Prime account, which offers free two-day shipping on any item you order. But, as Charge Shot!!! has discussed in the past, Amazon's aggressive pricing schemes and shrewd competitive business tactics might be ultimately unsustainable. Already Amazon owns a large portion of the market share for books. What happens if Barnes & Noble or Borders goes under, and Amazon is the sole surviving bookseller? Currently, Amazon is the cheaper option, but prices might not always be so cheap if Amazon becomes the only option. Recent business articles have taken a closer look at the cracks Amazon's friendly facade. Slate did a good report on how Amazon does all it can to keep from paying state and local taxes. And the Boston Review has a pretty good article detailing the hardball tactics that Amazon can get away with because of their large marketshare, including bullying smaller publishing firms into selling their books at extremely low profit margins. The article reports Amazon's threats to make books unsearchable, effectively blacklisting certain titles, unless publishers agree to sell their books at lower prices. Earlier this year, Amazon pulled all MacMillan ebooks from their website when Macmillan complained that Amazon was conditioning consumers to expect ebooks to be extremely cheap. Ebooks are the real elephant in the room; in the past year, they've really taken off, to the point that Amazon is selling nearly as many ebooks as print books. Amazon has also played nice, making these ebooks available on a number of devices. I don't have a Kindle, for example, but I can still read Kindle texts on my laptop and my cell phone. But as the market swings toward ebooks, what's going to happen when Amazon is the sole marketplace in which to buy them? What prevents them from having an ebook monopoly, being able to dictate both prices paid by consumers and prices set by publishers? Enter Google. The Internets have been abuzz last week about the new Google Bookstore, seen as a direct competitor to Amazon. It's true that Google has had less than stellar results in their attempts to be a direct retailer in the past. But what's interesting about the Google Bookstore is that Google is not trying to function solely as retailer. It intends to be a distributor, acting as a middleman between publishers and independent booksellers. Distributors such as Ingram Book or Baker & Taylor already buy physical books from the publisher and sell them to bookstores; Google wants to do the same, only with ebooks. This is big news for several reasons. First, this means that Amazon is no longer the only ebook retailer in town. Google Bookstore means that there's going to be competition, and if Amazon decides to stop selling a publisher's books, Google can always be there to pick them up. Slate points out that prices between Amazon and Google's ebooks are virtually identical right now, but there's no guarantee that this will continue. One can conceive of an epic pricing war akin to what happened to Stephen King and Sarah Palin's books in 2009. Secondly, and perhaps more importantly, this is good news for what independent bookstores are still standing. They've been forced to compete with mega-chains and Amazon for years, and as society grows more accustomed to ebooks, they've had nothing to put on their shelves. Google Bookstore, however, wants to sell ebooks through the websites of independent bookstores, with those independent bookstores getting a fair share of the profits. For the first time, your local mom-and-pop bookshop will be able to compete with Amazon. This also means a reversal away from the Internet trend of the one monolithic website selling books to everyone. For example, if an author in my town (Tallahassee) wanted to write a local history of the area, this author's books might be featured prominently in local bookstores. However, because this hypothetical book only has a local appeal, any Floridian shoppers would be unlikely to stumble across it browsing on Amazon, unless they were actively looking for the book to begin with. However, Google Bookstore means that even local-interest books can be turned into ebooks and marketed toward local consumers. While Amazon might never feature an ebook history of the Florida panhandle on its front page, the website of a local Tallahassee bookstore might very well do this. Google's decision to act through local booksellers, rather than attempting to create an all-encompassing retailer themselves, means that the art of browsing through local bookstores might not die out after all. Google's decentralized model caters to local areas, and it could very well be the case that a shopper will find more ebooks that appeal to them on a local bookstore's website, instead of Amazon's "personal" recommendations that may or may not actually be paid promotions. Google's attempts to act as a middle-man aren't restricted solely to books. Recently, the company also tried to purchase Groupon, a coupon daily-deal website that caters to local areas. The purchase failed, but it's not hard to see Google's aims. In trying to out-Amazon Amazon, they're not trying to create a larger website. Instead, they're trying to create a decentralized network of smaller websites that will cater to regional areas. Part of Groupon's appeal is that is features coupons and deals for local businesses. Google Bookstore might be a big success, or it might crash and fail. As much as I like Amazon, I admit that Google's local approach has a certain appeal. Americans always claim to love "local small businesses," even if their wallets prove otherwise. It will be interesting to see if Google's idea takes off, or if consumers have already become too accustomed to shopping on Amazon for all their literary needs. 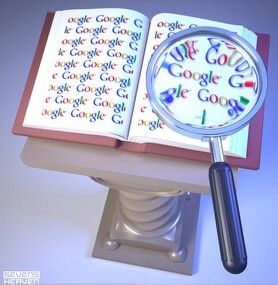 However, there may be trouble on the horizon if Google Bookstore does take off. Google Books are incompatible on a Kindle, and Kindle texts are not sold in the Google Bookstore. This needs to be dealt with sooner rather than later - in a format war, everybody loses.